Keeping track of design trends can be a dizzying task. 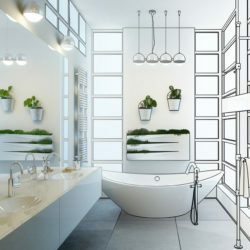 Beyond the usual “what’s in and what’s out” it can be difficult for the average homeowner to determine which trends will keep a space feeling current and which will look dated down the road. That’s where Interiors by Donna Hoffman comes in. 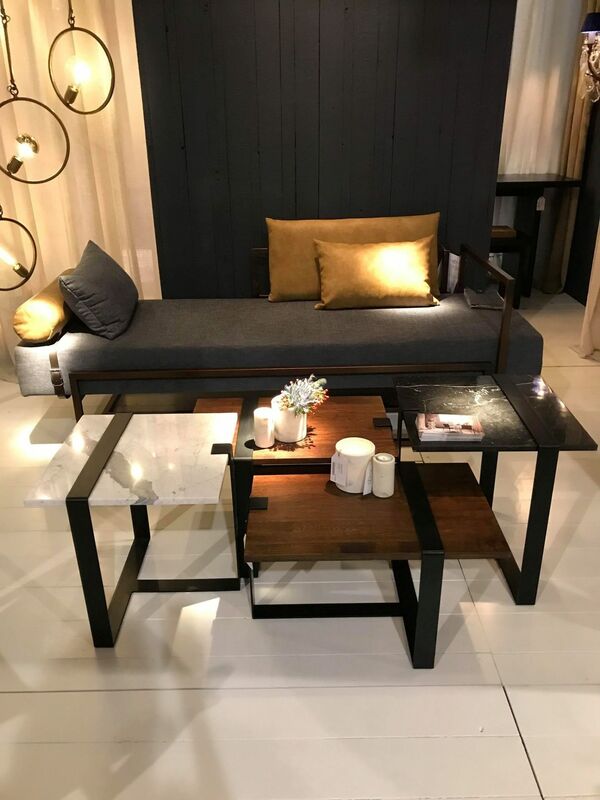 As a luxury design firm, it’s our job to wade through the influx of new trends each year to find fresh design flourishes that will give our clients the approachable, elegant, and seamlessly curated interiors we’ve become known for as a company. 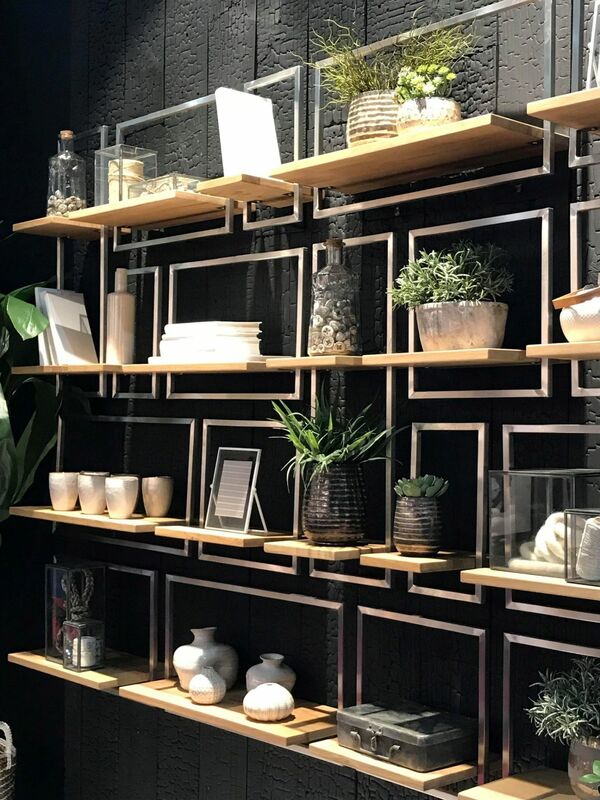 That’s why last September we headed to the “be all end all” of trend spotting locales, the Maison & Objet trade show in Paris, France! 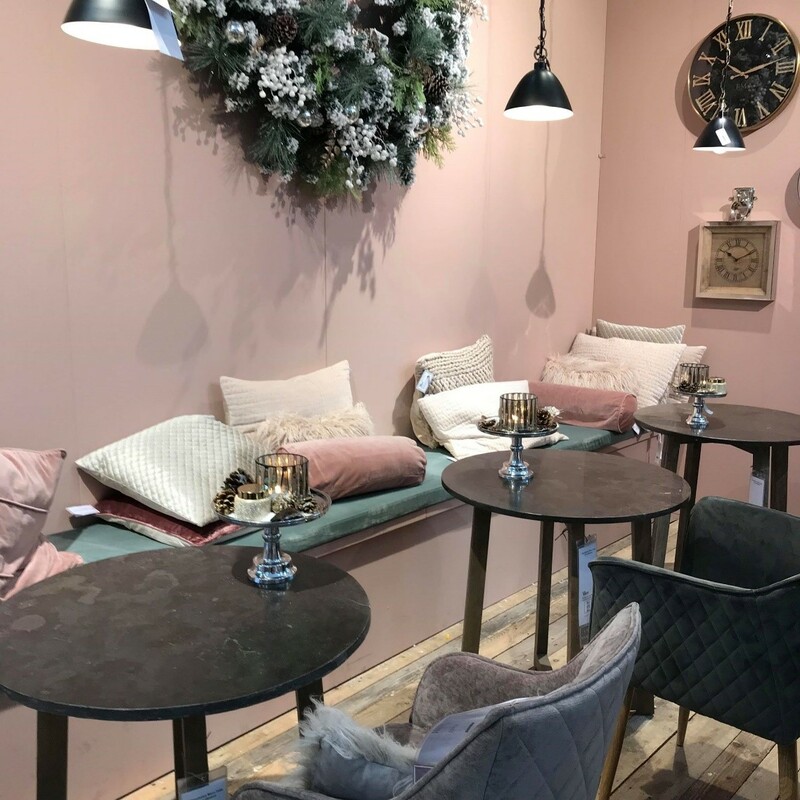 Below for your reading pleasure is our report of the trends we saw at Maison & Objet that we expect to see more of in 2019. Enjoy! Color Trends: Gorgeously bold goldenrod yellow made the biggest splash in 2018 and looks like it will stick around throughout 2019. Luscious black was another notable addition, seen not only in metal and wood but in soft finishes as well. While grey remains popular, it played second fiddle this year to softer white and cream hues. Blush pink stayed on the scene with some deeper salmon and burgundy shades appearing as well. Navy continued to be present, often used as a beautifully bold accent next to goldenrod and cream. Earthy olive green shined while turquoise and emerald continued to pop in paler iterations. 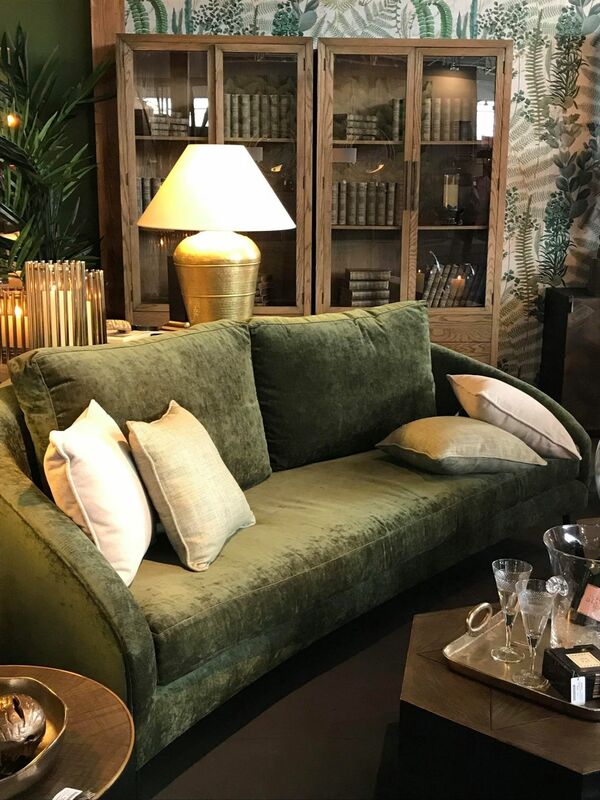 Fabric Trends: The upholstery fabrics seen at the latest Maison & Objet rarely showed any pattern, instead using bold solid colors to make a statement. Textural fabrics such as velvet, linen, or faux fur were also used to add interest. 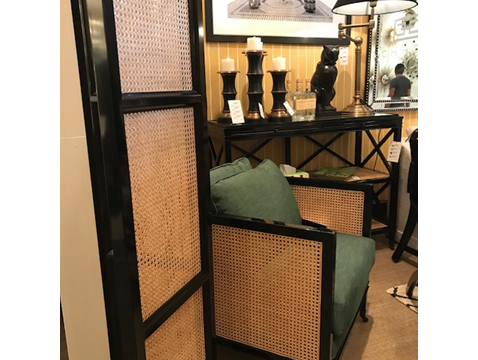 Woods: Sleek black lacquer made a big impression, especially when it was paired with unexpected elements like caning and upholstery. Light, limed wood was less prominent than in previous years with mid-range and deeper wood tones being the more common choice. 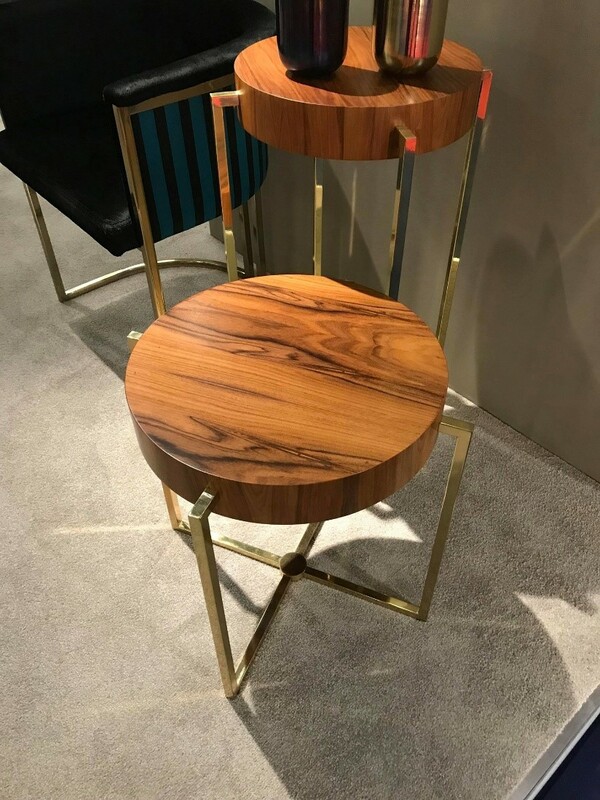 From tapered legs to exposed metal frames, interesting metal details could be found throughout Maison & Objet. Warm gold continued to be the star of the show in both high shine and brushed finishes. Black metal showed up frequently, especially on furniture legs. Silver was much less prominent and when it did pop up in was shinier than previously seen. 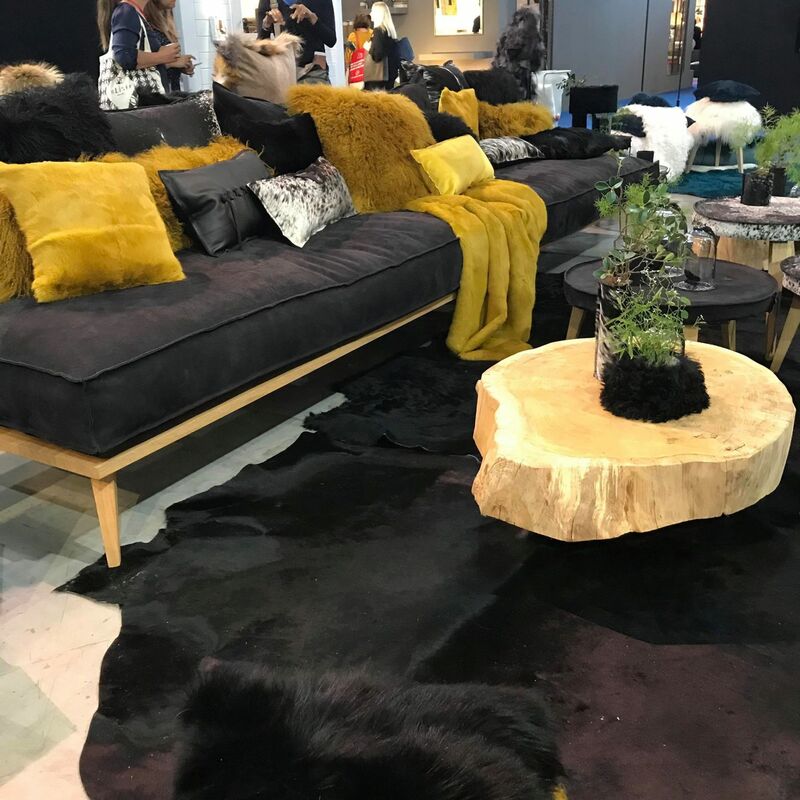 Bold colors such as rich goldenrod, earthy olive, and lush black were paired with rich textures to make a statement at the latest Maison & Objet show. Grey gave way to cream hues while navy, blush pink, and dusty turquoise popped up frequently as accent colors. Warm gold and sleek black lacquer shined, especially when paired with unexpected elements such as caning. Stay tuned for Part II where we’ll dive into all the gorgeously exciting new trends in upholstery and furniture detailing!